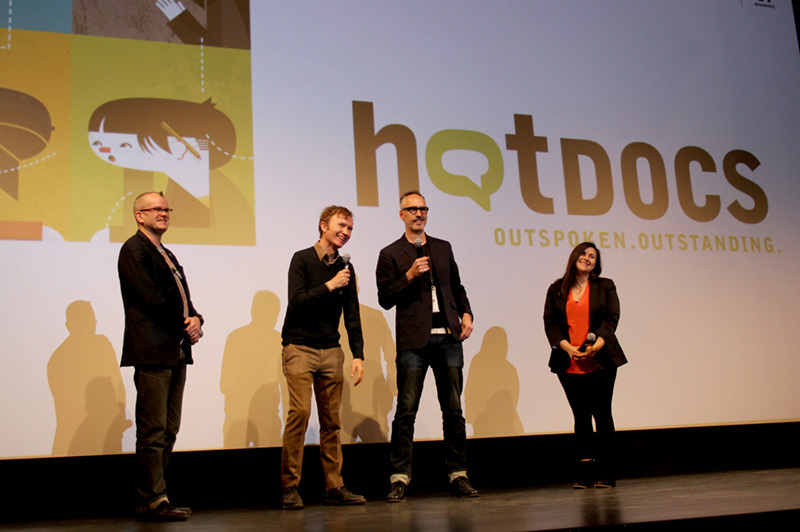 We have very fond memories of our time at Hot Docs, in Toronto. We were welcomed so warmly by the super-nice programmers, staff and volunteers, and we can't thank them enough. The film also had great reactions from the theatre-going public. As we mentioned last time, out of over 200 films, the audiences voted Alfred & Jakobine in their top 20 best films of the festival - wow - thank you Toronto! It's been an exciting few weeks since that North American premiere at Hot Docs. We're thrilled to be able to tell you we've been selected to appear in two more big film festivals this summer, making it four festivals so far. The first will be the Sheffield Doc/Fest, which will be our UK premiere, June 7-12, followed by the AFI Docs Festival, in Washington, DC, which will be our US premiere, June 18-22. We'll be sure to keep you updated on other festival news, but here's a little news flash - we have a good feeling we may be accepted into a festival in Argentina this autumn, which is very exciting, and we've been asked to submit "screeners" of the film to no less than 5 other festivals around the world, including China, Brazil and Australia. So, fingers crossed - it could be a busy summer / autumn / winter touring with the film. Lastly, we're thrilled that the new Alfred & Jakobine, limited edition posters have been so popular. They're selling quickly, but we still have lots available if you'd like one. The official DVDs of the film (with all sorts of extras) will be available in the months ahead, and in our next newsletter, we'll let you know how you can pre-register so we can inform you personally when they arrive. The posters are available directly from the website's PRODUCTS page. By the way, our website has just been completely redone, and features a big, bold GALLERY page with lots of Alfred and Jakobine's archives to enjoy. Have a look. We look forward to sending you more updates in the next newsletter. Have a great balance of May. Bring on the summer! PS Here's a little image of Jakobine with one of the posters in her house!